Announcing the winners of my nail art competition and giveaway! I have blatantly been dreading this day! As soon as the first entry came in for my nail art competition I knew it was going to be near-impossible to judge. There ended up being almost 80 brilliant entries and it was so hard to pick just one winner... so I chose three :P. The first prize is still definitely the best, but I'm still going to buy something little from Born Pretty Store for second and third, just to say well done. 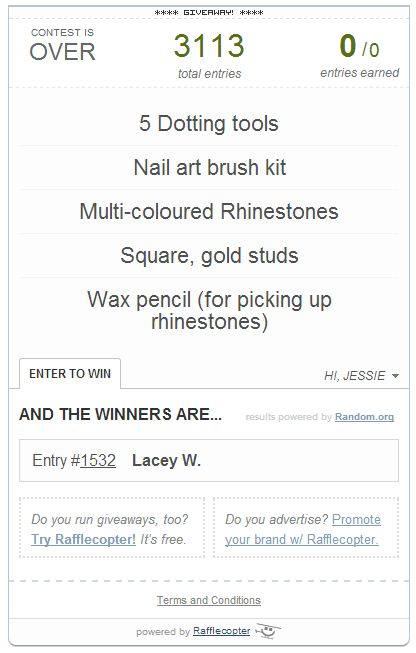 As it's less complicated, I'll announce the giveaway winner first - congrats to Lacey of Lace and Lacquers! I was shocked when I saw her name come up - I rarely know who the winners are! She totally deserves it though, has these great posts on her blog that list all the current giveaways she knows of. 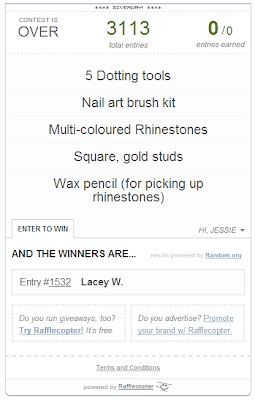 My giveaways always somehow end up there - I get a bunch of page views from them and more entrants, which is great! I've already emailed Lacey and she replied straight away, so I'll be ordering her nail art starter kit today! Now, for the nail art competition! Argh, where do I begin! SO MANY AWESOME ENTRIES! I decided the only way I was able to cut it down was to look at the designs that really stuck to the criteria - Me, Myself and I themed, unique, well-done and hand-painted. My husband and I painstakingly narrowed it down to five, and then to three. Without out further adieu, congrats to third place winner - Giulia! 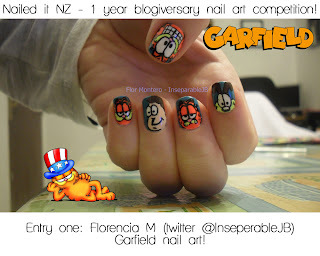 I guess I could call it 'mix and match', but it's not that easy, because I actually tried to 'draw' my life on my nails. My thumb is covered with freckles (because I have lots of them!) and it's paired with my ring finger, which should be dark red hair (it was veeeery hard to photograph, I think I made almost 80 photos just to get it right! ), then you have my index and pinky fingers, which are a sunset on the sea (my mother is from a city near the sea) and a sunrise over the mountains (I've been going to the mountains for 11 years, I'm in love with that place!). My middle finger is the famous Union Jack, which symbolises my love for that place, and the fact that I'll spend there my fourth year of high school. 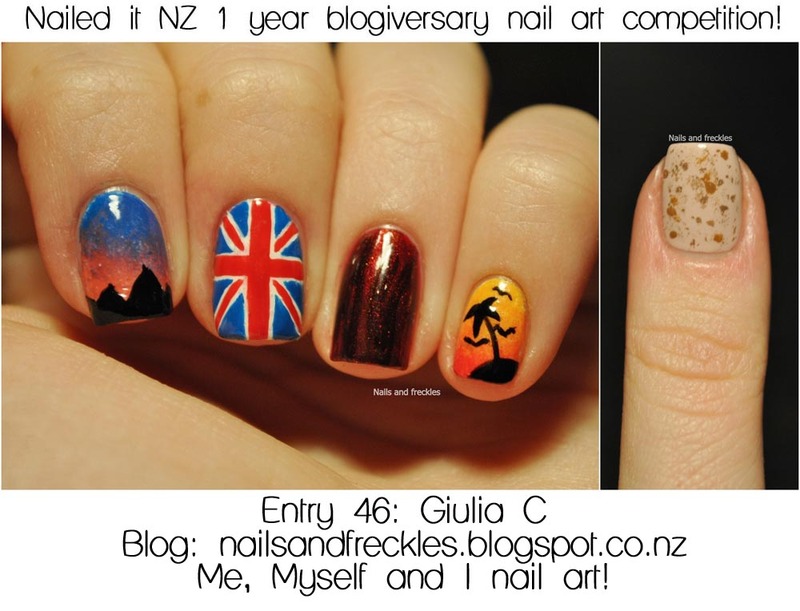 If your interested, Giulia also has a lovely little nail blog called nails and freckles, you can check it out here! The winner of second place is Pkay! After a career in the film industry (in Europe before moving to NZ) and a life devoted to film, this is a no-brainer. I have initiated a film society in the town I live in and privately we watch a lot of film and tv. I drew the lines of the film strip freehand using a striper bottle. We live a thoroughly modern family and the couple I drew represents each part in its own way. My ex and I are great friends and support each other in our endeavors, in life. I have two grown children (boy and girl) who are going their way in the world and are a joy to watch and to be a part of their life. I miss them but then I don't miss them - does that make sense? We should all live our lives and sometimes our paths cross and that is fantastic. And I am very blessed to have found a new soulmate (and my own Kiwi) and I love my relationship with him, with all of them. I tried to draw the people the way my daughter used to draw people when she was a tot. 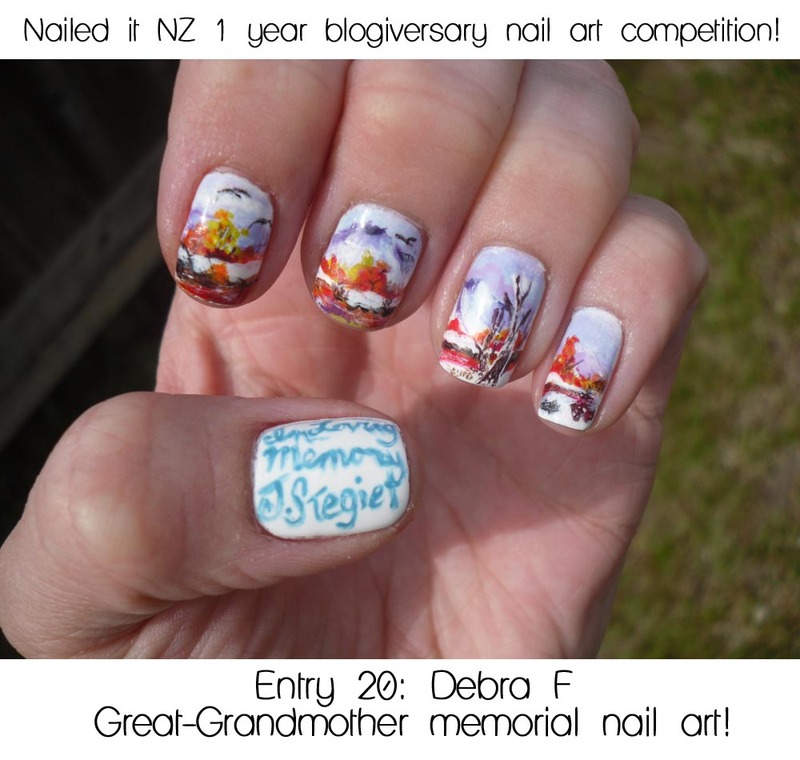 I loved learning about her life through her nail art entry! 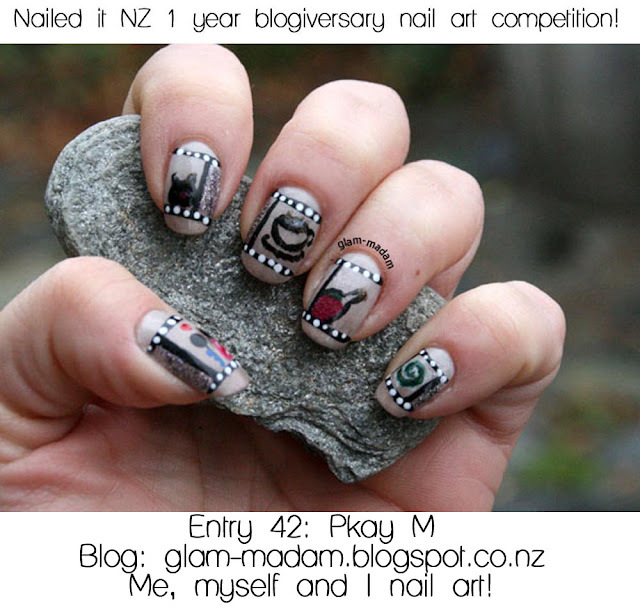 Pkay also has a blog called Glam-madam, which you can find here :). 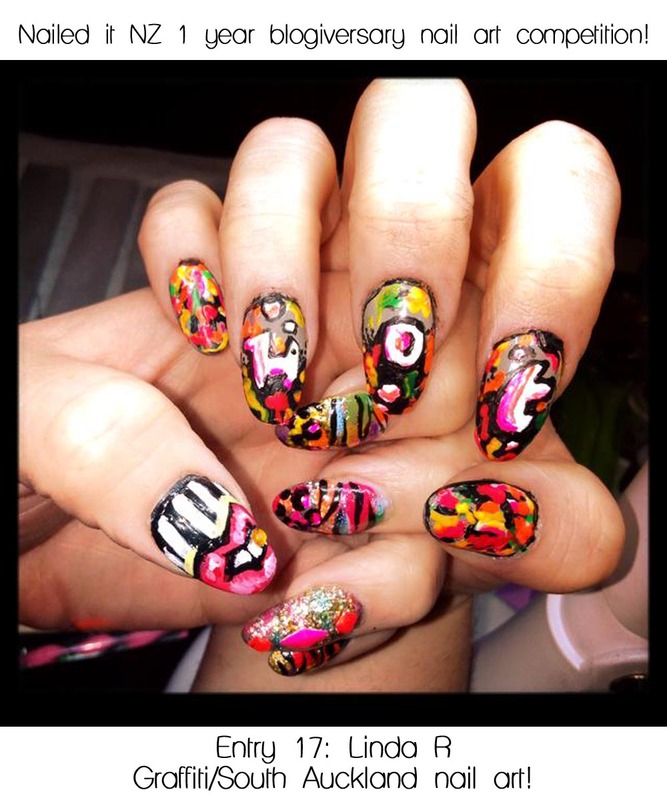 Her post about these nails is here. And last but certainly not least, congrats to Linda R who won first place! 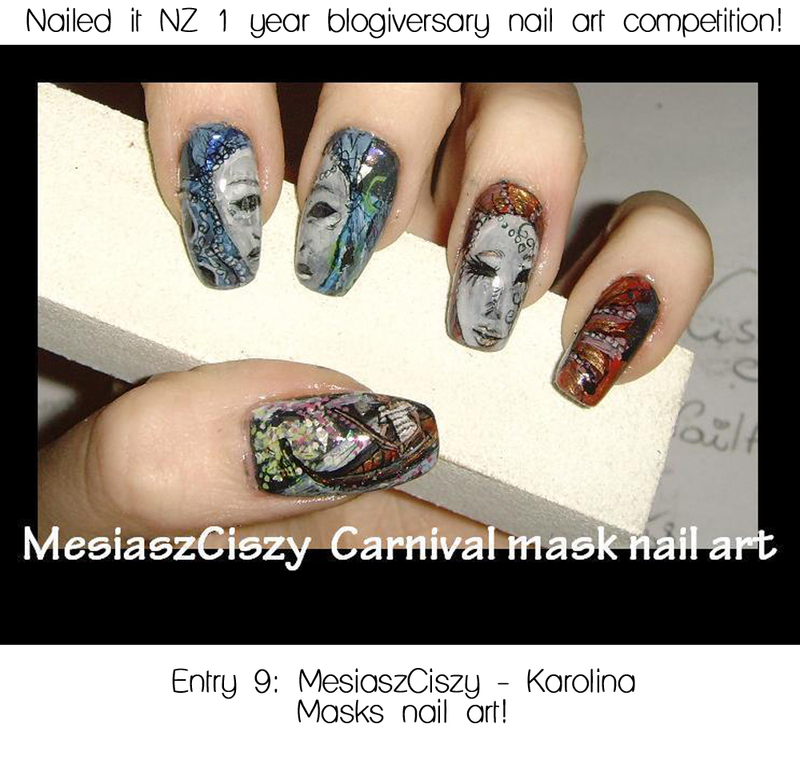 The moment these nails arrived in my inbox I was in love with them. She's from New Zealand too, and her depiction of her hometown was hilarious and spot-on. Her art was gorgeous and incredibly well done, and though I tossed up between her and a few others as first place, I kept coming back to this one. So congrats to all the winners! I'll be contacting you all very soon. However, I couldn't make a blog post about this without featuring some special mentions - brilliant nail art that didn't make it to the final three for one reason or another. Here they are! The first two were so close to being in the top three! It really was physically painful choosing! I love this one - really touching and a beautiful story behind it. 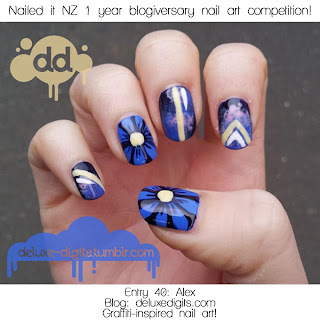 Alex's blog: http://deluxedigits.com/ I love how well-done these are. 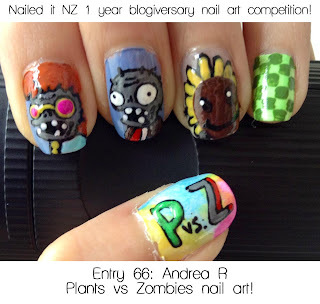 I love Plants versus Zombies, and the nail art is awesome! 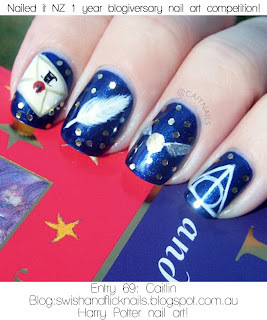 Who doesn't love Harry Potter? 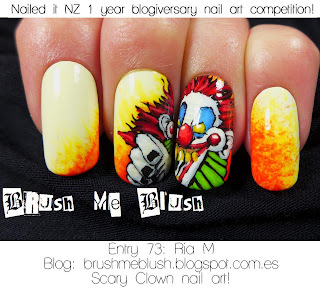 I want to recreate these! 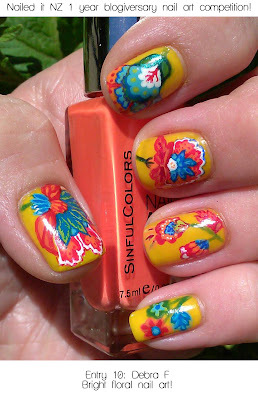 Some of the best floral nail art I've ever seen! sure she would have won - such great skill! I hope to be this good one day! And that's it! I hope those that didn't win aren't too disappointed - you all did amazingly and thank you so much for entering :). You can see all the entries on the original post, here. It was so hard to judge! Yeah it's pretty awesome eh? Thanks! WOW look at all that great art! Congrats ladies!!! and Jessie I love how fairly you chose them and how you stuck to the guidelines you gave and also didnt choose all the top artists that no one could possibly compete with (im so jealous of some people's art skills!). ive found some new blogs to follow now! Yeah I tried to focus on the guidelines of "Me, Myself and I" to give everyone a chance - although I think I'll need to make it clearer in the next competition! Thanks Serra! Also does the winner Linda have a blog/fb/ig to follow? Not that I know of, I'm afraid! If I find out she does, I'll add it to this post :). I meant if the pictures on your nails told a story, not the writing that went a long with it... I hope that makes it a little clearer! 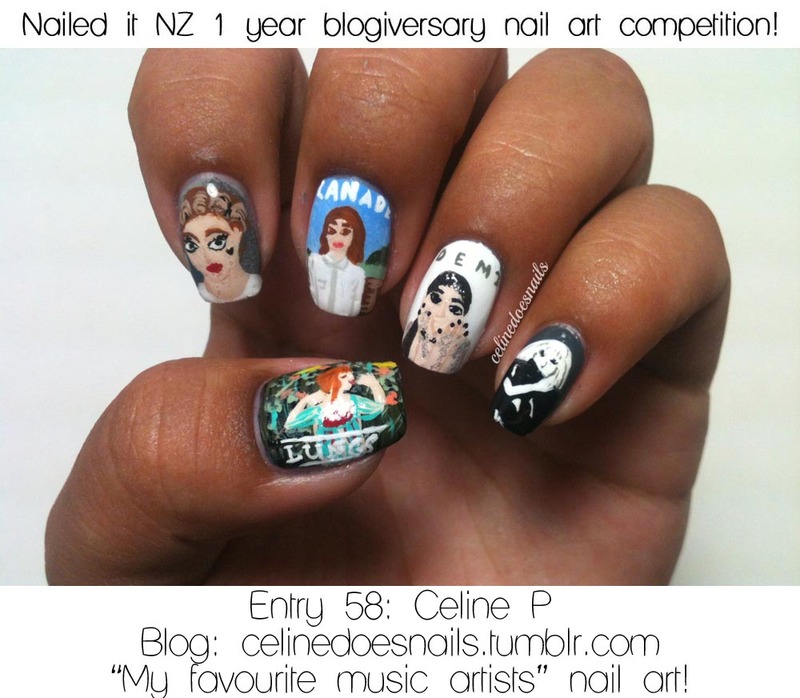 Your entries were all wonderful and you're very talented!